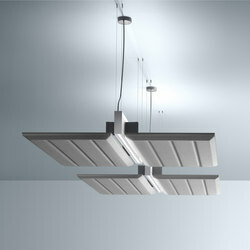 Through research and experimentation, the trend-setting Italian lighting brand LUCEPLAN created their acoustic lighting solutions. 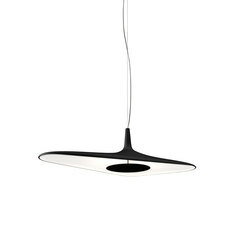 The result is a collection of stress-reducing luminaires that not only look good but keep the surroundings sounding good too. One of the largest trends in office design over the past decade is undoubtedly the ever-increasing mixed-use area. 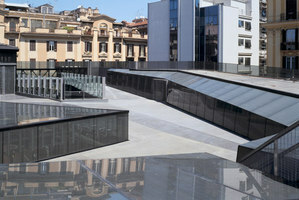 These large, open spaces combine kitchens, with their annoying kettle whistles and microwave dings, and the raucous social conversation of the break-out space, with the crucial creative collaboration of the conjoined meeting area, with each separate group vying for control of the local soundscape. In an age that places employee well-being and workplace stress levels under a microscope, designers are finding a need to treat the acoustic environment just as seriously as the operational. 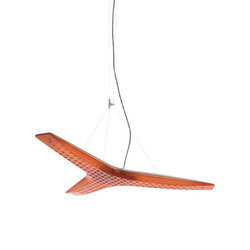 Such a common and unremarkable feature of office design for so long, lighting products have remained an un-tapped resource in the fight to control the cacophony that is the modern workplace. 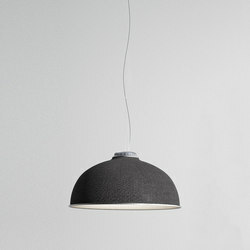 But with such an omnipresence in this new environment, designer lighting is uniquely placed to infiltrate the world of acoustic products. 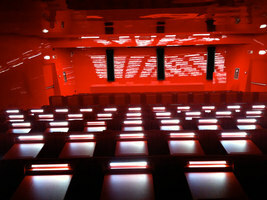 Alternatively, in hospitality venues lighting design has always been a top priority. 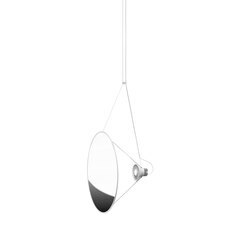 But in their efforts to sculpt the right kind of atmosphere, interior designers have, in the past, focused solely on directional lighting. 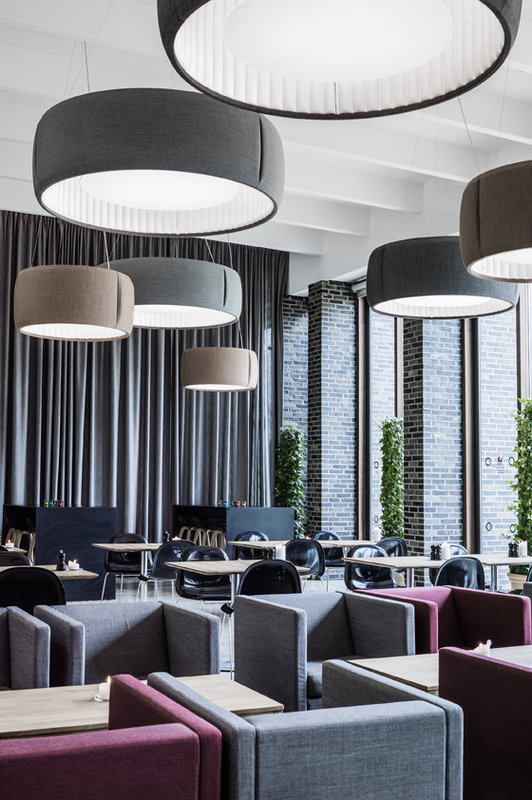 With the use of acoustic lighting products, interior designers are now able to fully consider the luminaire’s ability to perfect the auditory experience as well as the aesthetic. 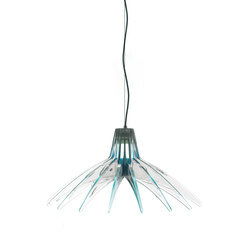 At the forefront of lighting design since 1978, the iconic Italian lighting brand Luceplan has been utilising technological research, experimentation and innovation to offer specific acoustic lighting solutions for both the workplace and hospitality sectors. 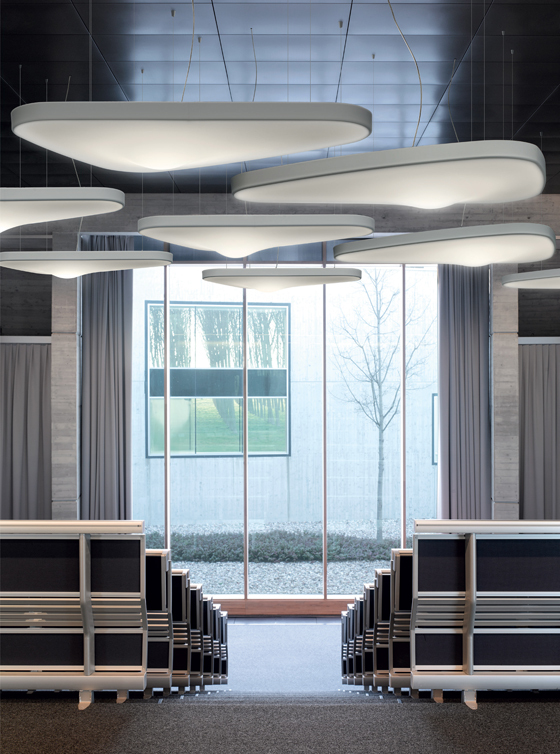 As part of their remit to create efficient working or relaxation spaces, Luceplan’s acoustic lighting product families are all designed to increase acoustic comfort in large, multi-functional areas. 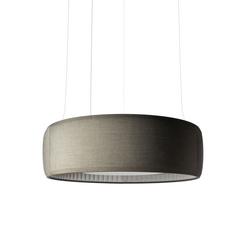 Luceplan’s luminary roster are specifically designed to address the negative impact noise pollution has on both physical and psychological well-being within shared spaces. 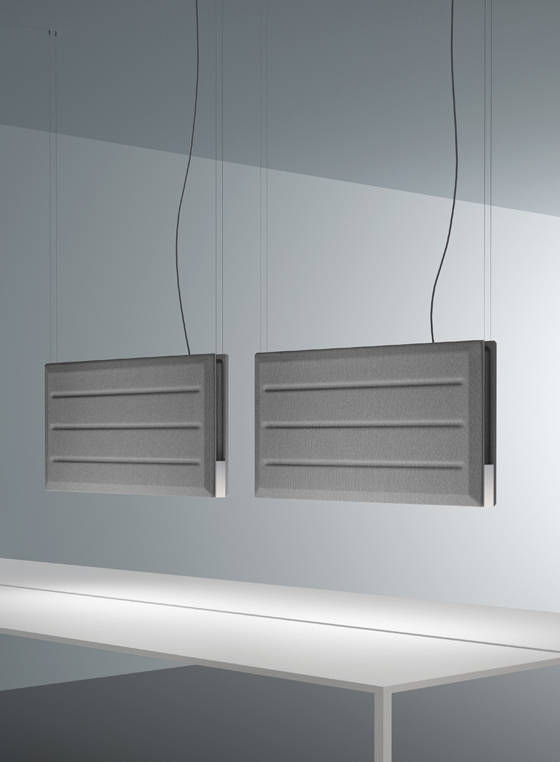 The collection of lights feature high-tech sound-absorbing panels that reach peak performance between 200 and 3,000 hertz (Hz), covering the full range of human speech. 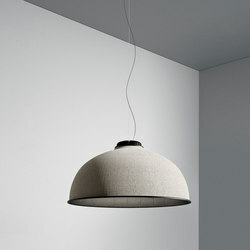 The fluid, ethereal design of Luceplan’s Pétale, from architect Odile Decq, features a fully recyclable sound-absorption panel, shaped specifically to absorb incoming sound waves inside the structure; while the larger and more imposing Silenzio is presented as a meeting between lighting and furniture. 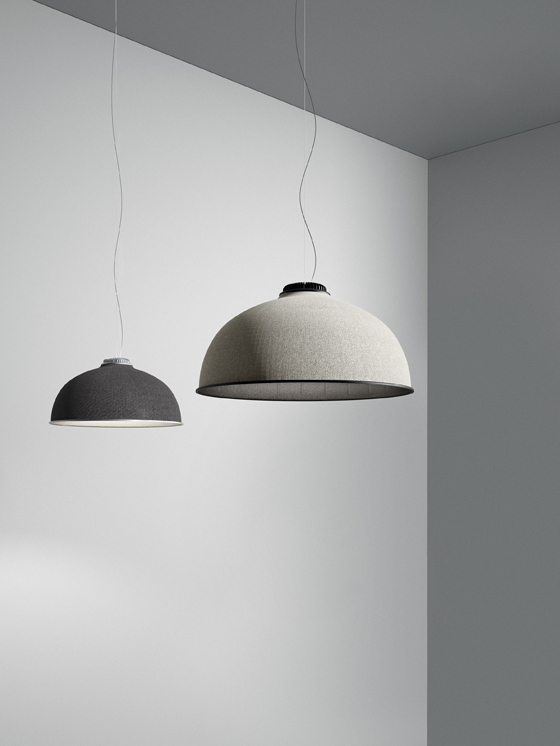 Combining separate internal sound-absorbent layers with an external skin of beautiful Kvadrat fabric available in different hues, with Silenzio, designer Monica Armani has created a tailor-made lighting family that decorates shared spaces for work, study, dining or leisure. 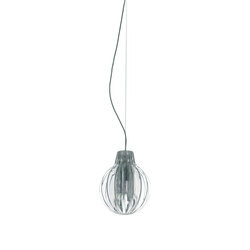 A more recent addition to the line up is the Diade pendant, also by Monica Armani, a creative solution to provide ambient as well as task lighting for workspaces. 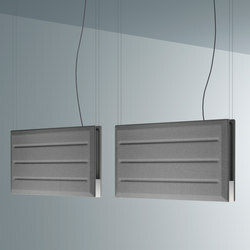 Its sound-absorbent wings spread out into either a vertical or horizontal position, catching surrounding sound waves while projecting a subdued ambient light or a more directional LED. 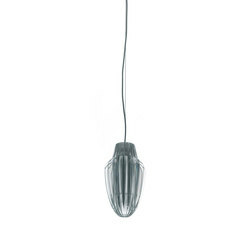 The versatile Diade lamp is perfect for use in any workspace, including hospitality and civic spaces such as hotel meeting rooms, business suites and libraries, as well as office environments. 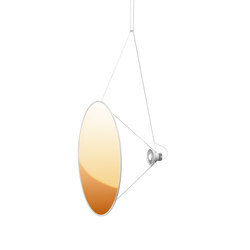 Debuting at Light&Building 2018, Luceplan’s dome-shaped Farel pendant lamp, by Diego Sferrazza, shined bright to become one of the best-received products in the show. 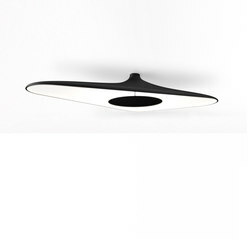 The outstanding feature of the light’s design is its thermoformed material structure with flame-retardant outer fabric cladding. 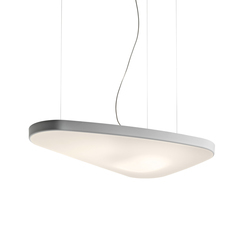 As well as a safety and acoustic control feature, the cladding gives Farel a textured skin to set it apart in the competitive lighting industry. 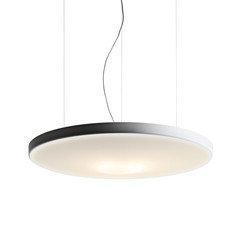 Combine this skin with an exposed heat sink and coated aluminium rings at its base, and the Farel light is a stylish addition to the rest of the group. 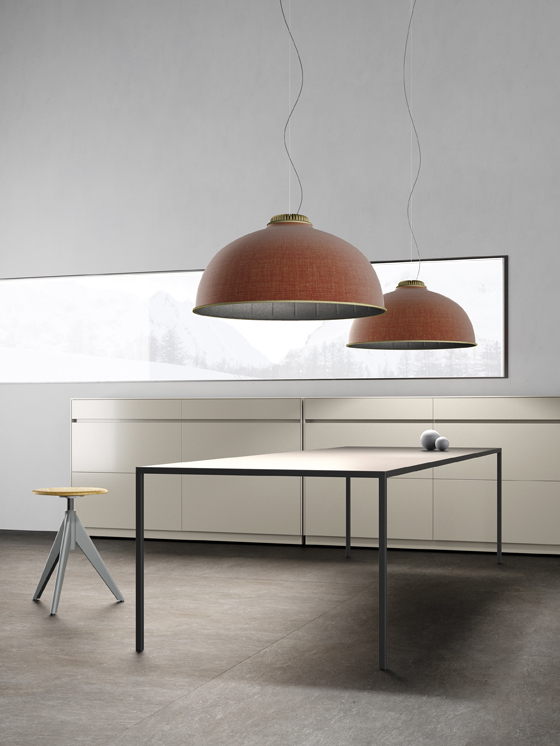 Fitting superbly within Luceplan’s existing collection, Farel confirms the brand’s continued commitment to creating comfortable soundscapes and stress-free workplace environments. 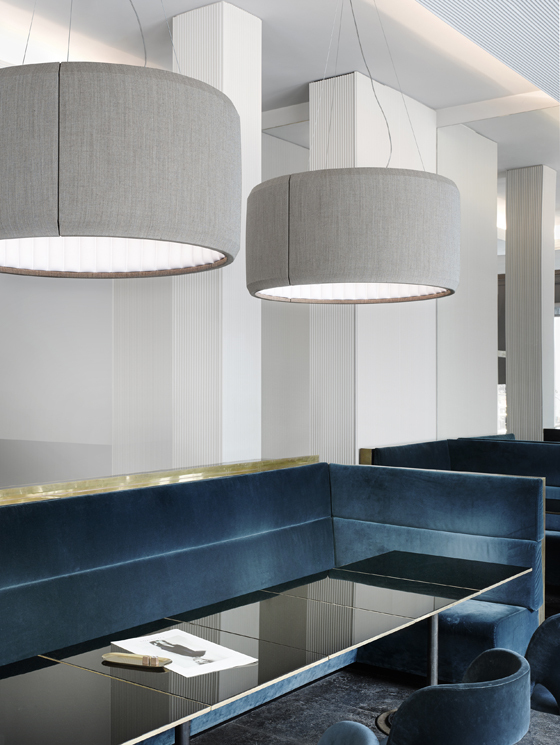 For more than four decades, Munich-based taste-makers CHRISTINE KRÖNCKE INTERIOR DESIGN have been on a mission for stylish interiors.